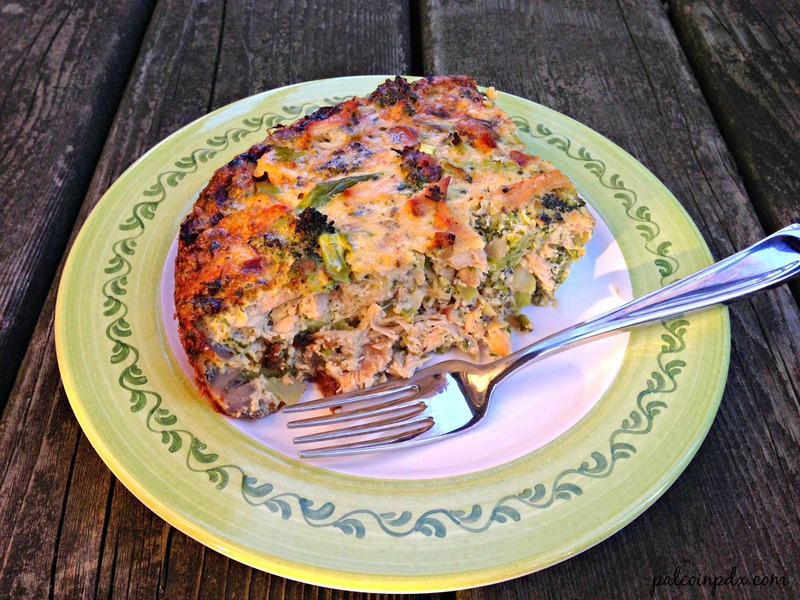 If you ask me, chicken and broccoli are a classic combo, and these two foods taste especially wonderful together in casseroles. Total comfort food. Anyway, I was inspired by their perfect pairing, and came up with this easy chicken and broccoli egg bake for dinner one night. Egg dishes aren’t just for breakfast! For this egg bake, every single ingredient was already in my kitchen, which goes to show that you can create easy, delicious meals with what’s on hand. Cheers and enjoy! Happy New Year too! Preheat oven to 400 degrees F. Grease a 2-quart casserole dish with butter and set aside. Melt a small amount of butter (about 1 Tbsp) in a large pan over medium heat. Add the leek and mushrooms, and saute a few minutes. Then, add the broccoli and season to taste with sea salt and pepper. Continue to saute a few more minutes, stirring occasionally. Once broccoli has slightly softened, add the shredded chicken and stir. Remove pan from heat and set aside. In a large bowl, whisk together the 1/4 cup melted butter, eggs and almond or coconut milk. Once mixed, add the oregano, parsley, cayenne and sea salt and pepper to taste. Next, add the chicken/veggie mixture and stir. Pour into the greased casserole dish and place in the preheated oven. Bake for 40-45 minutes or until golden brown and puffy. Let cool about 5-10 minutes before serving.